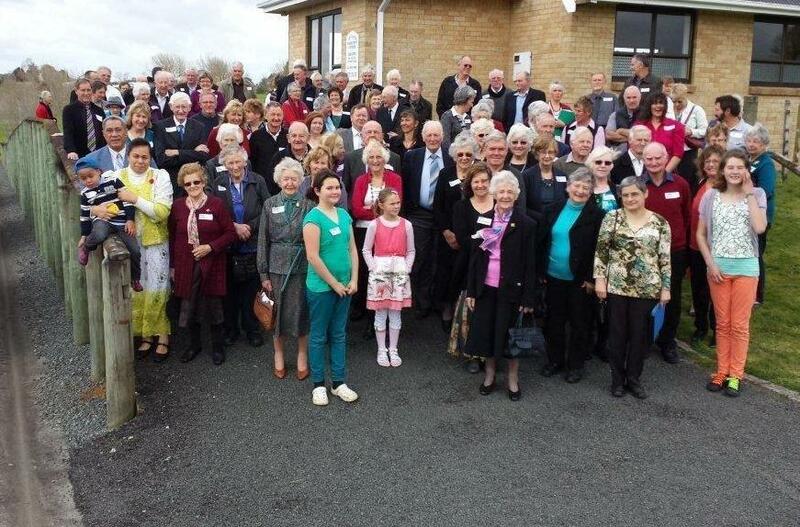 The Te Pahu church was opened on the 7th September 1963. The idea for building the church already existed for many years , but due to two depressions and two wars it took until 1961 to get the project underway with the support of the Presbyterians, Anglicans and Methodists. The initial build did cost £5,686, plus of course lots of assistance from the local community. A substantial amount was fundraised but it still required a loan of £2,000 to complete the building. This loan was paid of over the following 8 years. The building is still owned and run by the community of Te Pahu. Interdenominational services are held every 2nd and 4th Sunday of the month. The running of the services is done half by community members and the other half by celebrants provided by St Andrews Presbyterian church in Te Awamutu. A highlight for the year is the Christmas Carol service that is always well attended. More recently services for Good Friday and Christmas day have been added as a result of losing the Paterangi and Ngahinapouri churches. The church is also available for baptisms, weddings and funerals. The Te Pahu church is like many other rural churches not immune to the decline in church attendance and the mobility of our generation. The church – with the hall, squash club and pre-school, owned and run by the community – together with the school, offer the opportunity for people to get together, meet and support each other. For this to continue all these facilities require volunteers to run and maintain them and it needs the wider community to support them. Anybody is welcome to the services and if interested can actively participate. The only requirement is to accept that religious views can differ and have to be respected at all times.